The American Legion Auxiliary shines as an example of unselfish giving. With almost a million members from all walks of life, the Auxiliary administers hundreds of volunteer programs, gives tens of thousands of hours to its communities and to veterans, and raises millions of dollars to support its own programs as well as other worthwhile charities familiar to most Americans. It is all accomplished with volunteers. The Auxiliary, organized in 1919 to assist The American Legion, is much more than the name implies. 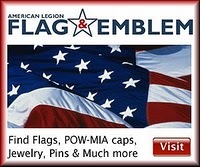 The organization has achieved its own unique identity while working side-by-side with the veterans who belong to The American Legion. Like the Legion, the Auxiliary’s interests have broadened to encompass the entire community.